Mabel Wadsworth Center provides health care using a feminist model focused on sexual and reproductive health through education, advocacy, and clinical services. 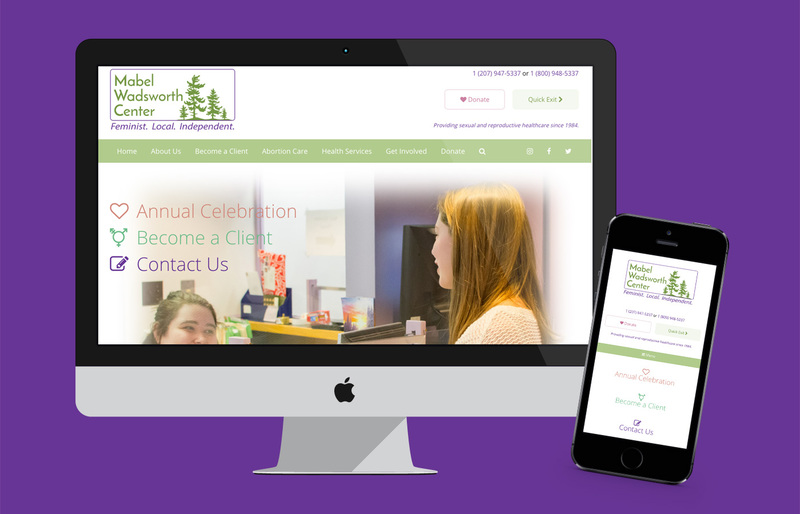 The website for the Mabel Wadsworth Center features a custom WordPress theme with a clean, modern and airy design which is optimized for mobile users. For visitors who may require it, a “quick exit” button opens a new page with the weather while simultaneously creating a blank page where the website had been seen previously. In addition to providing healthcare, the Center also provides education and advocacy. The site features a regular podcast, news, and first person stories submitted to the Center as “Mabel’s Voices.” Online bill payment and online giving are additional features of the site. 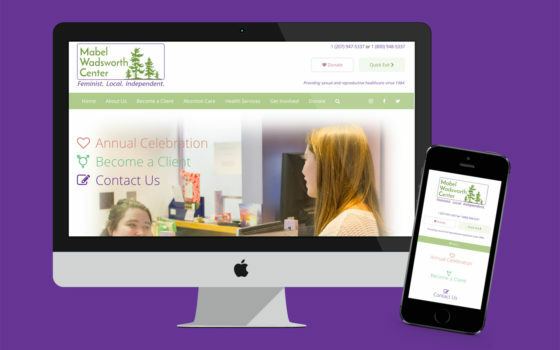 The Mabel Wadsworth Center staff maintain and manage all the content on their site.